Fredina Mendez works on a client's nails in a Wallingford Toyota showroom. Near a fleet of glossy parked vehicles in a Wallingford Toyota showroom, Fredina Mendez sits in the corner at a manicure table. Her job is to offer manicures to people waiting for their cars to be serviced. She thinks it’s a great customer service idea, but it’s not her dream job. Connecticut is the only state in the country that doesn’t license nail salons or manicurists. 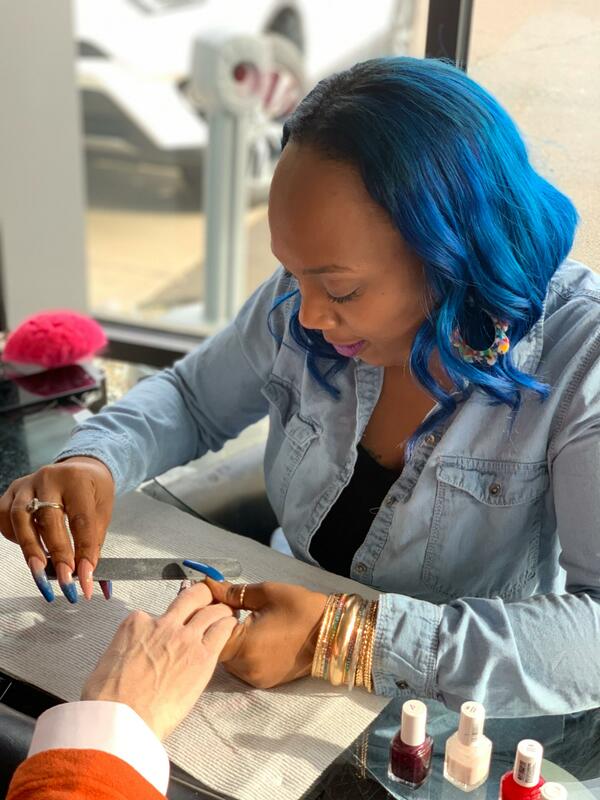 A new legislative push may change that, but in the meantime, nail technicians say their professional futures—as well as the state’s public health— are on the line. Mendez has worked as a manicurist in Connecticut for more than eight years. But after she lost her job last year at a New Haven nail salon, she had trouble proving to the Department of Labor that she had legitimate training as a nail technician. Mendez says Connecticut’s lack of licensing requirements has affected her employment options. She recently applied to work on a TV show in New York City. The hiring team said they liked her experience and portfolio, but when they found out she wasn’t licensed, they turned her down. “It’s like going to school and working on your PhD forever, you know, and then someone saying ‘Well, it’s disqualified,’” said Mendez. In January, state representatives Jillian Gilchrest, a Democrat, and Fred Camillo, a Republican, proposed a bipartisan bill that would require the licensing of both nail salons and nail technicians, as well as estheticians and eyelash technicians. 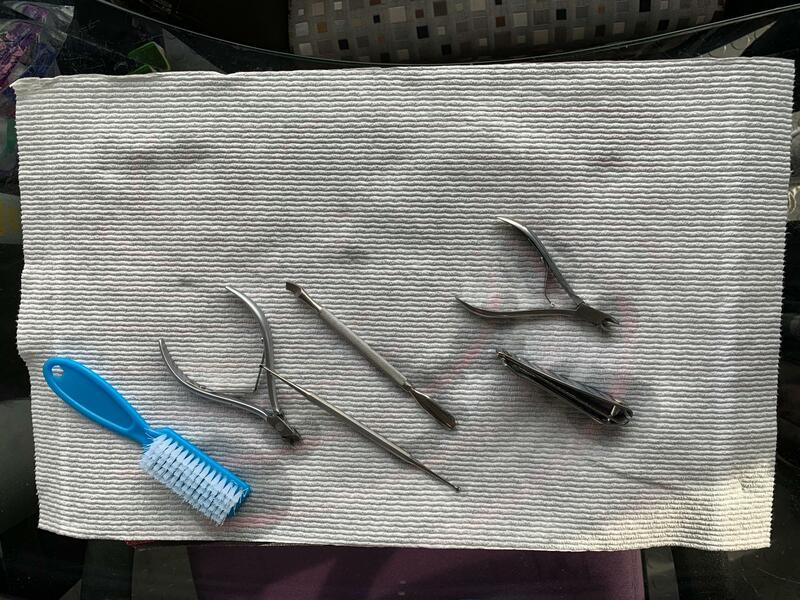 The proposed legislation wasn’t picked up by the Joint Committee on Public Health, but Gilchrest said that they’ve since moved to amend several other pending bills in order to establish a nail licensing program. It hasn’t always been this way. Until 1980, Connecticut required all nail technicians to undergo 500 hours of study and training to be licensed with the state. Chris Andresen, from the state Department of Public Health, said it’s not entirely clear why Connecticut did away with the requirements -- but he suspects it’s a money issue. “I think one of the major costs to implementing a program like that would be the sheer scope of the program to regulate nail salons and nail technicians in the state. [It] would be a huge budgetary burden to the state at this time,” he said. In 1998, a bill was proposed that would have required DPH to look into the impact of unlicensed workers in nail salons. It concluded that the lack of oversight actually put the public at risk. But the legislation didn’t go anywhere. Connecticut manicurist Jasmin Cameron uses a ceramic bit on her electric nail file. It’s more forgiving than the metal bits other manicurists’ use, which often cut clients’ fingers if they’re not handled carefully. This power tool is only one of a dozen devices she regularly uses when she treats people’s hands and feet. Cuticle nippers, pushers, and clippers can be invasive, sometimes causing injuries that lead to infections. Cameron herself says the situation is so unregulated that she’d think twice before walking into a random business in the state. “I’m kind of scared to go into a nail salon now,” she laughs. Manicurist Fredina Mendez agrees the lack of licensing means that nail technicians in the state have almost no incentive to educate themselves on how to prevent injury and illness -- like exposure to bloodborne pathogens and fungal infection. Representative Gilchrest suspects that implicit gender discrimination has played a role in why the nail industry has been overlooked for so long. Fredina Mendez said she and all of her friends in the nail industry support the licensing initiative, regardless of the $100 fee they’d have to pay. The alternative – remaining unlicensed – has a bigger price.